Our second episode in the Our Lives Our Births reality series focuses on Homebirth because we really love to see births happen naturally minus all the technologic noise. In this episode, the Midwives have a homebirth social, Kaitlyn celebrates the 1st birthday of her homeborn son and recalls her beautiful waterbirth at home. Homebirth renews our faith in the normalcy of birth. We rarely have any problems at a homebirth. Whether this is because our clients have worked so hard to be healthy, fit and mentally prepared to have a natural birth or because the home environment has that much impact on the progress of birth, we don’t know. It is likely to be a combination of both. Over the past 6 ½ years, we have only had to transfer to the hospital for pain relief or failure to progress in labor. Our transfers have been first-time moms and none of them have been emergent. We do thank God for that! For the most part, the clients that choose homebirth have one. They have minimal perineal trauma, many have waterbirths, they experience normal or lower than normal blood loss and most of the babies breastfeed like champs. We carefully monitor our clients throughout their pregnancies to be sure that they are candidates for homebirth and that they remain candidates even into the labor and postpartum. 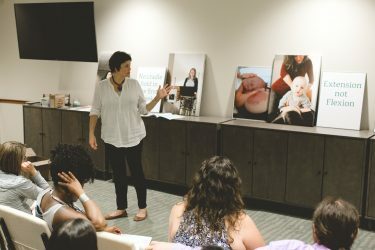 The safety of mom and baby is our top priority and homebirth has proven to be very safe and satisfying and frankly, normal, experience in our practice. We hope you enjoy this 2nd episode, the 3rd is already in production! Please like and share and leave us a comment to let us know what you think! Enter your email address to get instant access to your sample birth plan. Join the Midwives of New Jersey for an informative time of conversation, Q&A, and a tour of our office.